The nail polish blues! I don’t believe that nail colors should be relegated to certain times of the year, and I think blue can be worn on the nails year round. I went through my stash, and rounded up the four blue nail colors I own. Pale, sparkly, dark, shimmery, doesn’t matter which one I choose, they all look fabulous. Last winter, I discovered Blue Icing, and I fell in love. It was the perfect change from the somber, dark colors usually seen on nails out and about during the colder months. Marine Scene was my first “bold” blue color. 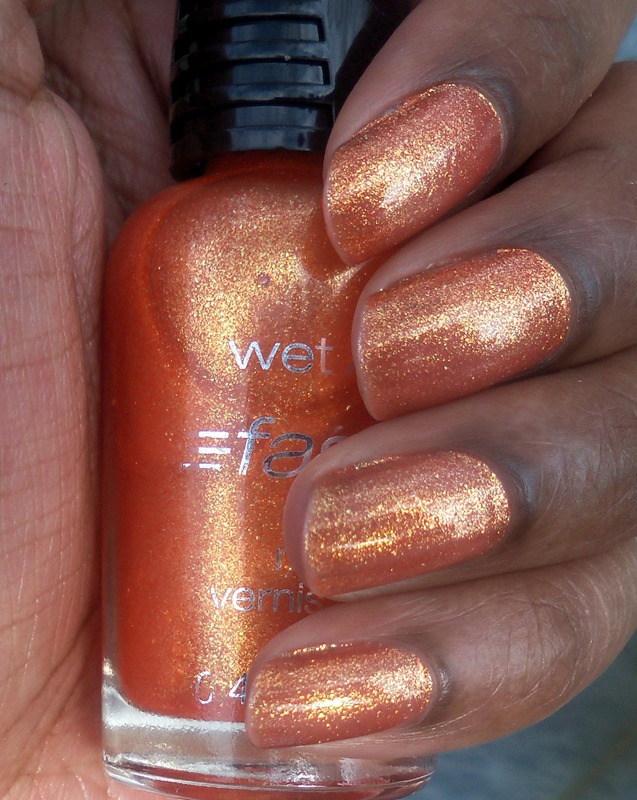 Bought last summer, it was one of my first edgier polishes…. such a rebel I am. And of course, yall already know about Teal of Fortune and Coat Azure. 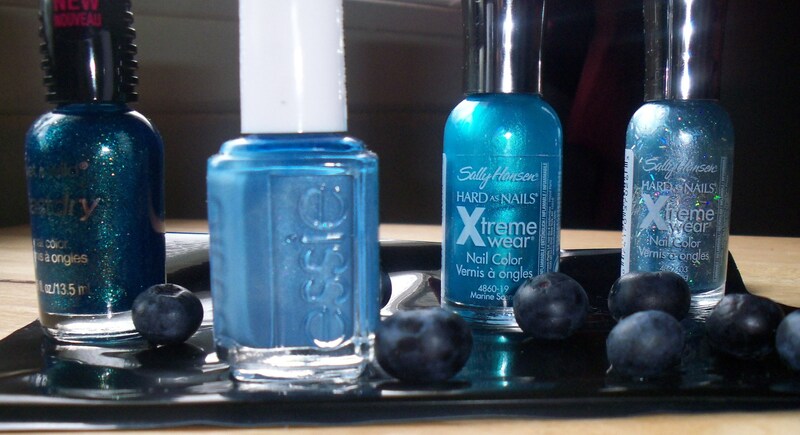 Right now my nails are feeling Essie’s Coat Azure. We’re loving the soft, matte finish, and the bold yet subtle color. I’m sure I will add to my collection at some point, but for now these four blues suffice. Do yall wear blue nails in the spring? I am not a fan of fast drying nail polish. It always turns out bad. Like me trying to bake a cake from scratch bad. No pigment, creasy eyeshadow bad. Someone ate the last Thin Mint bad (shout out to the Girl Scouts). 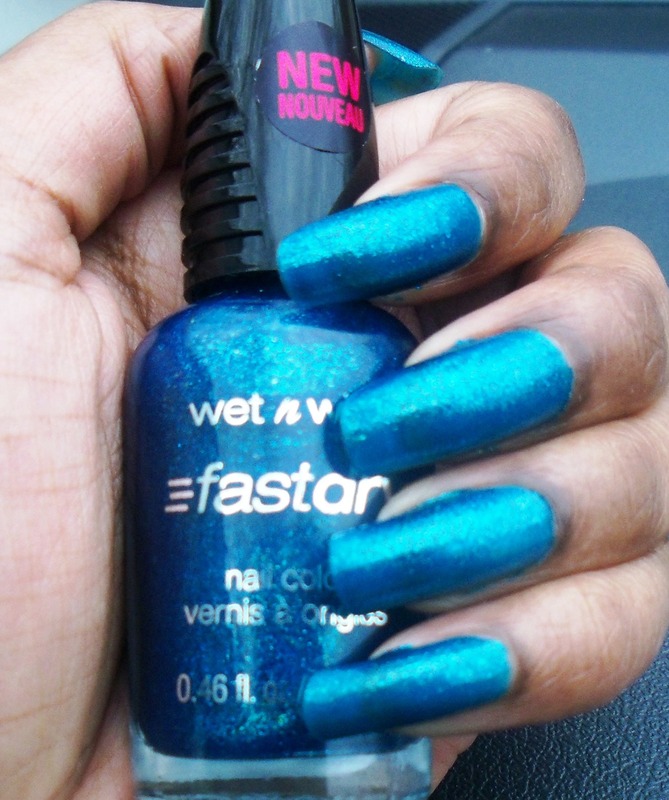 However, I really, really, really wanted to try the Wet N’ Wild Fast Dry Polish. I haven’t had much luck with any of Wet n Wild polishes, but this new line looked interesting. It purports to dry in 60 seconds, but that didn’t interest me. The colors did. They looked really bold and bright, and I love bright and bold colors. The first one I tried was Teal of Fortune. I have soooo many positive things to say about the polishes. I have to say first of all though, that it doesn’t really dry in 60 seconds. It dries about average, 2 minutes. Which is fast compared to some polishes out there, but it’s not 60 second fast. The polishes gave an amazing glossy finish, not requiring a topcoat. The brush is amazing. They called it a “ManiCurve Brush”, and boy do I wish that every nail polish brand had it. It applies the polish so smoothly, evenly, and effortlessly. The bright colors definitely stand out. Even though it doesn’t dry in 60 seconds, two coats still dry amazingly fast. And not just dries, I mean it hardens. The vivid colors only required 2 coats of polish, and that’s saying a lot for glittery polish. I was chip free for at least 5 days. They are only 2 bucks! The one draw back is that there aren’t a huge range of colors. I counted 18. Which is decent, but I need a SELECTION! Doesn’t matter though, cause these are my new faves. Wet n Wild should be applauded for this affordable, long lasting line of nail polishes. Especially for that perfect brush. Interesting fact I thought I’d share. Browsing the Wet n Wild website, if you notice the names of the polishes (all except for poor “Orange” UPDATE it is actually called 9.0.2.1. Orange, and I heart it even more now), they are all inspired by some T.V. show, like “Sage in the City” or “Saved by the Blue” and even “Silvivor”. Corny, and I LOVE it! I heart them even more. You can browse at the complete list here. Did Wet n Wild nailed it or failed it? You already know. They definitely nailed it!!! !